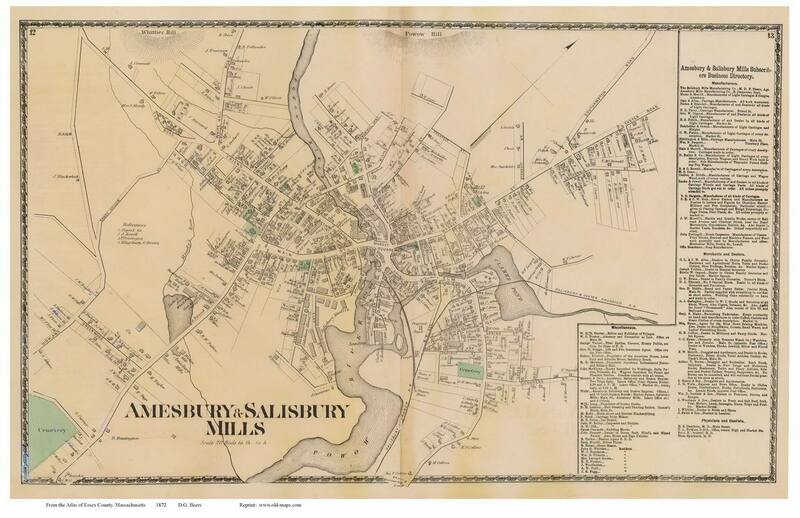 Click the button below to add the Amesbury & Salisbury Mills, Massachusetts 1872 Old Town Map Reprint - Essex Co. to your wish list. Source - Atlas of Essex County, Massachusetts 1872 by D.G. Beers & Co.
Amesbury, Massachusetts 1856 Old Town Map Custom Print - Essex Co.
Addison, Vermont 1857 Old Town Map Custom Print - Addison Co.
Canaan, Vermont 1878 Old Town Map Custom Print - Essex Co.
Averill, Vermont 1878 Old Town Map Custom Print - Essex Co.